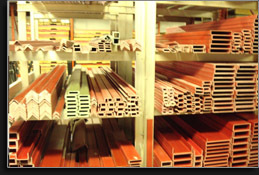 Industrial laminates are made up of superimposed layers of reinforcing materials that have been impregnated with resinous binders and cured under heat and pressure. Read more about high-pressure laminates. Low-pressure laminates are composed of glass mat and/or glass roving fibers impregnated with polyester resins. Read more about low-pressure laminates. Thermoplastics constitute the largest assortment of resin formulations which when formulated are transformed into a variety of basic shapes. Read more about thermoplastics & elastomers. Time honored and established working relationships continue with vendor partners. Connection is made to utilize the strength of effective historic relationships. The valuable associations FPI maintains are characterized by cooperation, shared timetables, and a common focus to make client satisfaction always evident.